A change of brand, still the same great value product! Another bright idea for cleaner energy. 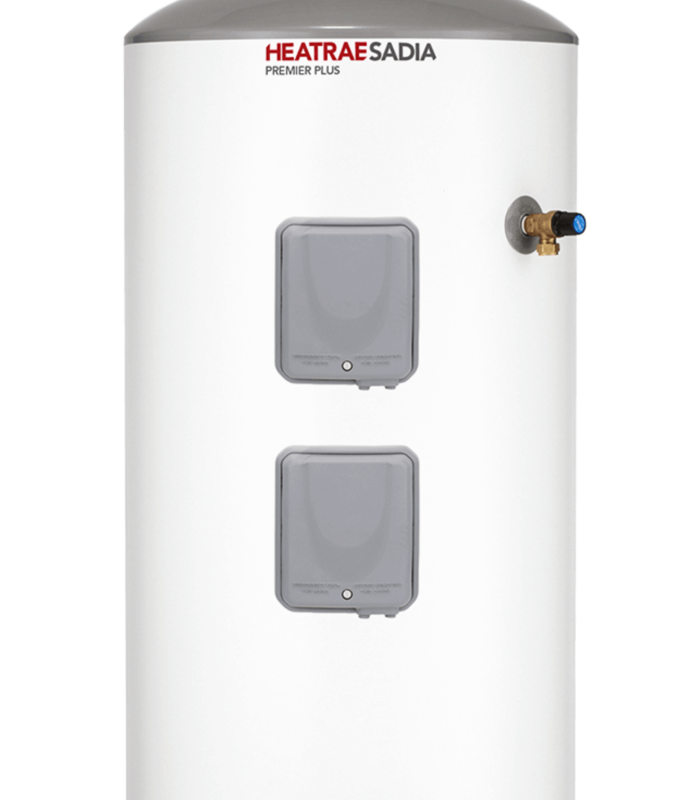 The Heatrae Sadia PremierPlus Solar is an environmentally friendly and efficient way of providing domestic hot water. 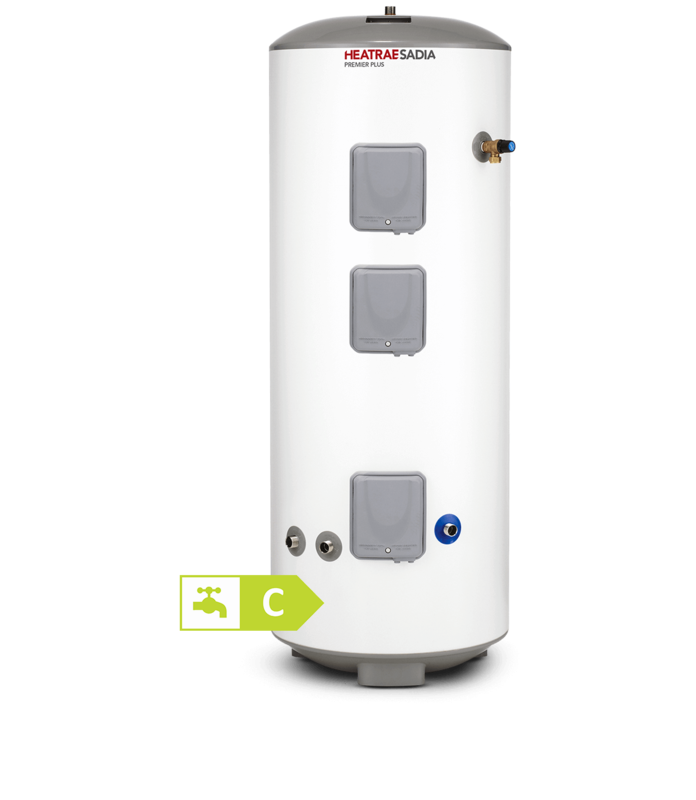 Unlike some other 'twin coil' cylinders which simply use heating coils designed for traditional boiler heated cylinders, PremierPlus Solar cylinders have a purpose designed solar heating coil at the base of the cylinder, which ensures maximum heat input and efficiency from the solar energy. PremierPlus is available in a choice of capacities from 170 to 300 litres, with a choice of direct (electric auxiliary heat input) or indirect (gas, oil or electric boiler auxiliary heat input) versions. At Heatrae Sadia we understand that you should never put a price on comfort. Our products are designed with the highest quality of materials and we lead the market with our engineering expertise. Whilst we don't sell our products direct to the trade, we are the only leading manufacturer to have our entire product range stocked by all the leading merchants. If you want more information on how to order; book a service or repair for your product; register your warranty; or to call our UK based helpline, you've come to the right place. Just give us a call and see how our award-winning Customer Support team can help you. We're confident that the quality and reliability of our products is second to none; every one of our products is fully factory tested and any new products in development have extensive field trial testing before we launch them. Remember, your product only has a free period of cover if it is registered so get that peace of mind by registering your warranty online today.